In the first five minutes, more than a million people will die.... That’s just the beginning of the nightmare. Soon, they discover the loss of electricity was just the beginning of their problems. In a land without laws and few consequences for their actions, individuals must come to terms with their darkest fears and desires. 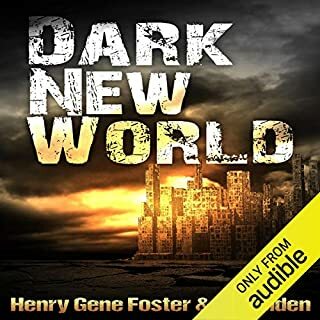 What will Scott do when he learns the draconian plans one secret group has for regaining control and ensuring their own vision for the new world? Catalyst is a shockingly realistic tale of how society copes when the world is thrust back to a time before technology. 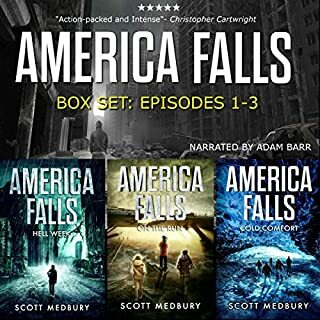 If you are a fan of Steve Konkoly, Tom Abrahams, or A. American, you will love this audiobook. The end of the world kind of books seem to be all the new rage right now. they are all starting to sound the same. and some with NOTHING to do with the end of the world genre. The last few books I've read have just not been good. I was leery of getting this book. I am so glad I did. This book has a great storyline. Action adventure and great characters. I am very glad I took the chance on this book. it also has a few good tips in it, with out being boring. though I will say, the first chapter seems to be about the love of Bicycle riding. But as the story goes on you see you why that was important. Watching the Apocolypse crash and can't look away! While the story starts a bit slowly it picks up and fleshes out quickly. The author does a great job of defining the characters and the story environment. The story is interesting and moves well once it gets going. There are lots of characters to like and dis-like. 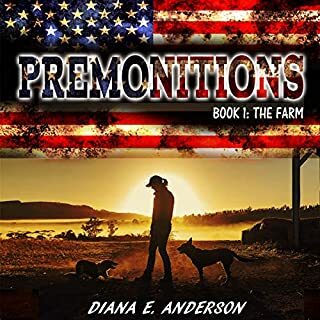 The narrator does a great job with the story and it is very easy to keep all the characters straight, no easy task given the variety within the story. This was a very entertaining and enjoyable listen. I look forward the the other books in the series. If you could sum up Catalyst Downward Cycle in three words, what would they be? What other book might you compare Catalyst Downward Cycle to and why? You really can't since there aren't any zombies or EMP strikes by terrorists, this is what gives this book a different twist plus the act that starts the collapse is really a minor issue compared to the results of the act. What does Steven Varnum bring to the story that you wouldn’t experience if you just read the book? I still can't stand bicyclists on the road who don't follow the same laws cars have to but I can ignore that when faced with a good story. I was given a free copy of this book in exchange for an honest review and since I was raised by my momma to never lie, you can trust my review. I read a lot of books like this. Sometimes the stories & characters are almost interchangeable. NOT so in this case. I thoroughly enjoyed this book. The characters are beautifully written. The story & plot is very well thought out. I was entertained & also learned some things. I loved how Scott learned & grew so much. How he was the reluctant hero. I loved how he struggled with what is right & what should be. 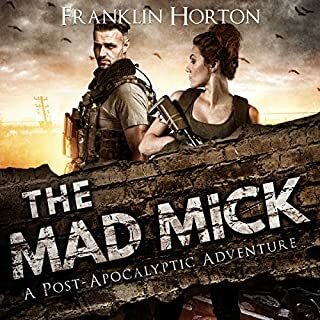 If you are looking for a book to introduce you to the SHTF genre this would be a great one to start with. This is a story & world I can’t wait to revisit. This is one of the best end of the world books I have read this year. Unique. If you have never read a prepper book and your insistent on trying one, than this would be a good place to start. I say that because the main character shows humility and is not a know it all. The book also shows the importance of friends. The rest of the book unfortunately is like most of the rest. That is, it reads like a laundry list. This would be a good manual to have around in case of a CME, but it is not real entertaining. For entertainment along these lines pick up Franklin Horton's, Borrowed World Series. Sorry, but I listened to this as I was driving and I forgot actually what CME, stands for. I do know that it has to do with Solar Flares. The point of this book being that these solar flares caused an EMP. This catastrophe was not man made. Beginning of what looks like a great series! What did you love best about Catalyst Downward Cycle? Most of it, frankly. The underpinning is rather derivative ( global EMP and resulting chaos ) but the accuracy of the situations is fascinating, as is the interplay of the characters. The fellows that our hero befriends are compelling. Which character – as performed by Steven Varnum – was your favorite? He did excellent work on them all. Can't parse them out. The scene with the niece alone in the house is good. Franks does use the story as a political statement platform, and this did get tiresome at times ( alot of the time, actually ) . That said, I looked past it and tried to see the value in the pure entertainment and educational value of the story, and found it. I was provided this book for free via Audioblast in exchange for this review, which is fair and balanced. 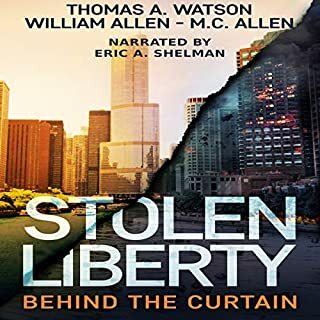 I recommend this for credit use, and enjoyed it for its genre, but it does come with some pretty heavy political baggage so listener be ware. This is a plausible concept and could very well happen. If history is correct - this will happen again. I would say this is a pretty accurate story line. Moves along - good listen! 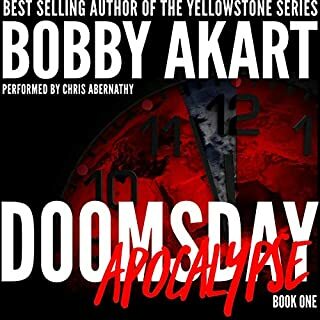 If you are brand new to prepping and novels about the apocalypse you might like this book. I very much felt like I was listening to &quot;Prepping #1&quot;, out of 100 books. To simple and to juvenile. Even the narrator sounded like he was reading to 6th graders, although he wasn't bad. I think it was more the material. Where does Catalyst Downward Cycle rank among all the audiobooks you’ve listened to so far? Numbers Game Sage because it is slightly different in the story line. No, but some of the violence is very nasty. Kind of needed for the story line but, wow. I was provided this free review copy audiobook by the author or narrator." 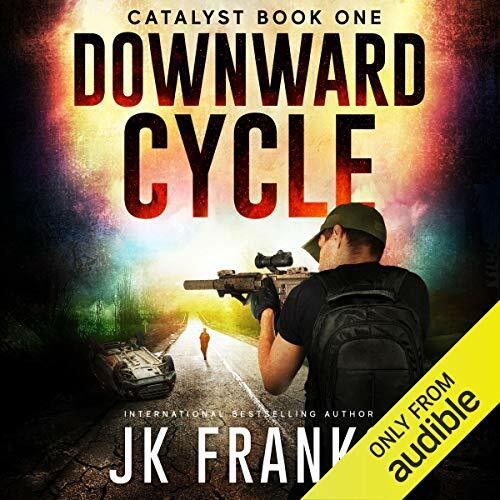 This review is for the audio copy of Catalyst Downward Cycle by J K Franks and narrated by Steven Varnum. Oh no, another EOTWAWKI book!!! This book did a great job of character development, made you very interested in what was going on where, and made you like or dislike the different characters. It was well written in that it kept my attention throughout the book. It was very believable to me and the characters responded to the different situations much like I would expect them to. It was plausible and believable. And it was good enough for me to continue on to book 2 of the series. The narrator did a great job with accents and different voices. Never once did I cringe at any of his attempts to perform a screech or shout for a female part. Overall a very enjoyable end of the world read…! What did you like most about Catalyst Downward Cycle? This book is scary good. By which I mean not only is it a great book but it feels real. It feels to be how society would react on a small town and government level. I also really like our main character, Scott. The story eases us into the situation in a way that's amazing to listen to and makes it easy to follow the story progression. What other book might you compare Catalyst Downward Cycle to, and why? I'm not sure how I would compare this to other works. I can honestly say, think of your favorite authors and if they wrote a book about this topic it would be this book. It's got a polished feel to it with really well developed characters and it feels normal. Normal in a sense of this is our world and this is how the loss of power and government control would play out in a small town. What about Steven Varnum’s performance did you like? The sense of the world feeling normal comes across really well and also Scott comes to life through the narration. I really liked at the start where we have this calm before the storm, where people are going to coffee shops like its a normal day with a slightly irritating power problem but not thinking bigger, the narration made it feel normal but through Scott's thoughts and actions also to feel what's coming. I started my own internal inventory of what I'd need to survive and it really got me thinking what I'd do. In fact I was suddenly happy to think of all my camping gear and other equipment as a start. Great end of the world as we know it book. This just goes to show you do not need zombies, aliens or other flesh eating monsters to have a good end of the world as we know it book. If that sounds interesting to you this may be the book for you. J K Franks’s writing is good and interesting, the story is kept moving with good pacing and characterful dialogue. This book is a well thought out and executed story of what would happen if most of the world’s technology failed, what would people do, what choices or actions would people need to take and the grey area between right and wrong that gets wider as the modern world falls to pieces. It is a little bleak at times but that how this sort of story should be. Steven Varnum’s narration is clear and easy to listen to, they add threat to the battles and dangers. Each character has a unique voice that fits them adding to the listing experience, making it simple to tell who is who and conveying their emotions. I did not notice any errors in the recording. This is an interesting book that is well worth a listen. I just hope nothing like this really happens. i found that i was listening to this book not only on my way to and from work, but also at work. i would find an excuse to nip to the shops to listen a bit more and even have headphones on in bed just to reach the end of the section. It ranks in the top tenth. It was an easy listen. Not too tecnical or full of gun numbers. Just enough to go with the story. It was different because to main guy is a computer geek. And has to prep after the event. I did enjoy it. I will get the next book. I did it in two sittings. A good plot. Slightly flawed heros. (not know alls). Not overboard on teck details. I liked it. This audiobook was provided through AudioBook Boom free of charge, and without obligation. An interesting and informative story as well as being a gripping ,on the edge of the seat tale. I would recommend it for all ages as it includes teenagers as well as older, mature characters. It was well narrated and the tension and fear were made clear. Thank goodness for audible books with proficient,clear narration with great stories.